Hi There, I enjoy reading about all of your festivals. 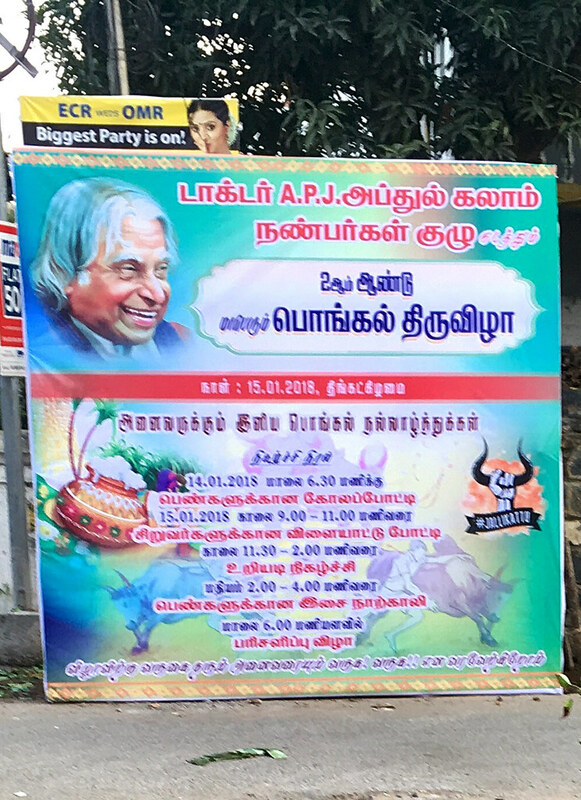 Pongal sounds like a very interesting festival. I think I read somewhere that this festival is to Thank Mother Nature for her abundance.... That is so NEAT..... Thanks for sharing. Your Oongak festival sibyls ver similar to ur Thanksgiving. Neither is a religious event, but rather a time to be thankful for the things we enjoy. 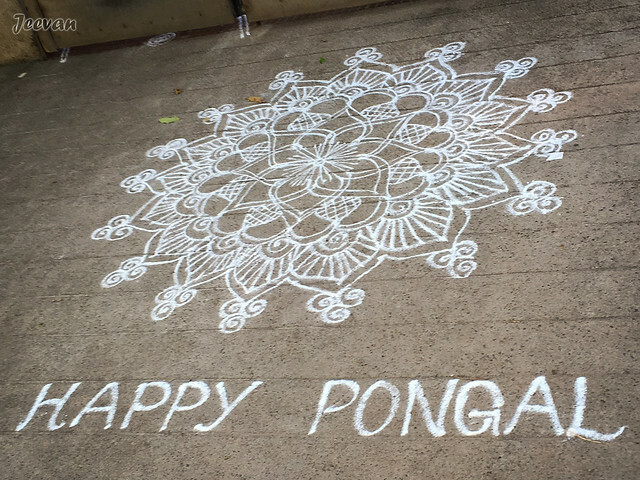 I liked the first simple by perfect kolam and all the colourful kolams. Typical pongal paanei...nice. We cook in brass vessel in the kitchen, keep it in the balcony and do pooja to the sun god. Bring it into the pooja room and another pooja! 7 vegetable koottu is also important on that day. 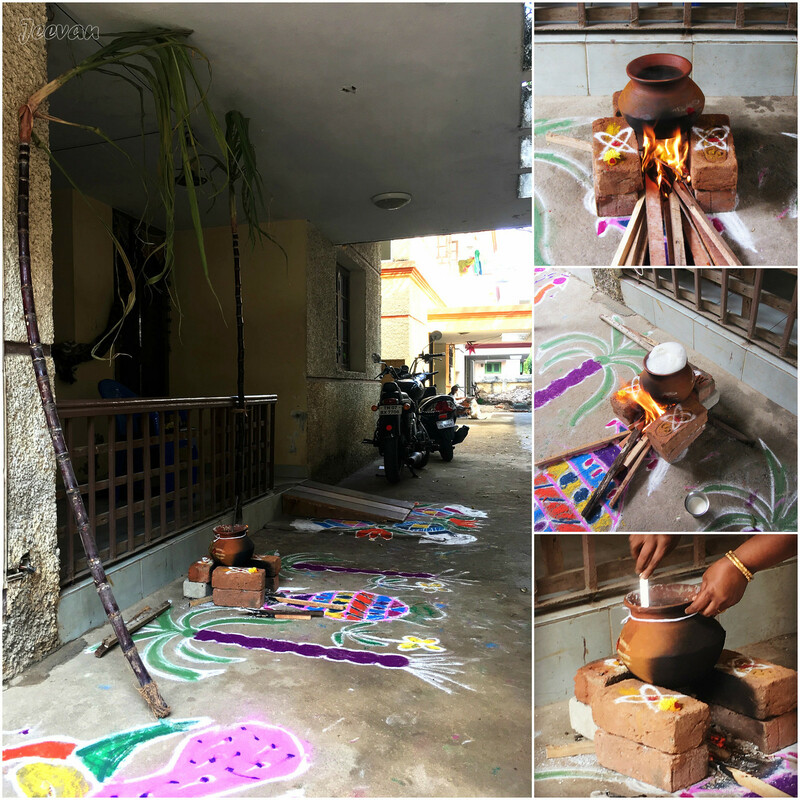 Pongal is over! I love these pictures, Jeevan. Your mom is so talented. What a great way to celebrate and also bond as a family and as a community. I'm glad you had so much fun. What a great way to express gratitude. 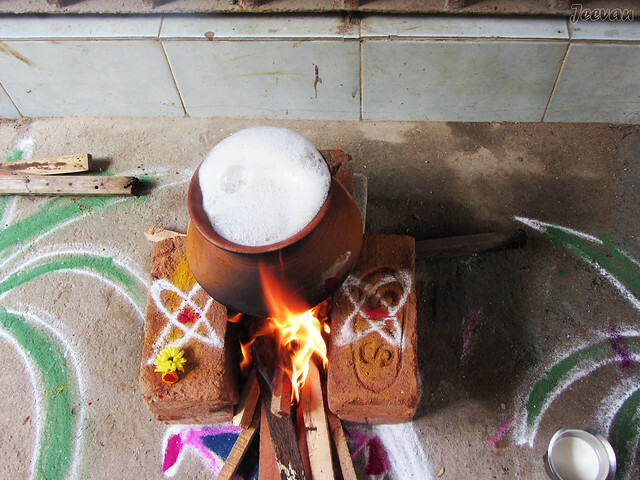 Your Pongal is similar to our celebrating Basant Panchami, where we cook sweet rice by adding yellow food color. People wear yellow dresses. Boys fly kites. Loved the way your mother prepared milk rice in the open in an earthen pot in the traditional way. Nice decorations to go with the occasion. We've so many festivals but what I observe is that in cities people have lost enthusiasm for community celebrations. At least it is so in our part of the country. Happy Pongal to you and your family ~ love the images your Mom draws ~ beauty! Ponggol is also celebrated here! It is interesting to see the way you cook the rice and milk in clay pot. I love Hindu festivals and love to eat Indian food very much! Happy Pongal to you and what beauty and energy in these designs ~ lovely photos too!